Ashton Pointe is one of several residential property developments that D.R. Horton initiated in south Sarasota County. It counts amongst the projects which this giant national builder undertook to beef up its Florida presence in the wake of the strong housing rebound after the Great Recession. The development of this community started sometime 2013, and it was completely built out by 2015, an affirmation to the strong resurgence of market demand on Sarasota homes for sale. Ashton Pointe’s location is on the quiet and private northern terminus of Fielding Avenue which is accessible via Clark Road less than a mile west of its interchange on Interstate 75. Ashton Palms, Covington Place and Ashton Manor, a pre-recession development also by D.R. Horton, flank the community towards the north. The southern periphery of Ashton Pointe is bordered by the well-established “bedroom communities” of Stonehaven and Admirals Walk. D.R. 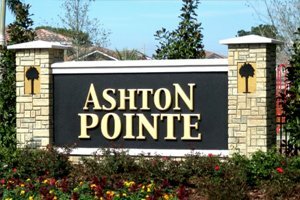 Horton developed Ashton Pointe as a gated community featuring just 49 single family homes. It is a compact development having only two streets both with cul-de-sacs. Though small, this community is nonetheless quite endearing, with most of its homes enjoying water views courtesy of this property’s lagoons, one of which has a water fountain feature. Folks always on the go would love availing of opportunities on homes for sale in Ashton Pointe. The residents of this community enjoy maintenance-free living. A professional property management company handles the upkeep of the neighborhood, including its lawns, irrigation system and playground. It organizes community events as well. D.R. Horton builds at Ashton Pointe come in one or two-story options with their architecture Mediterranean in design. The floor areas of these residences range between 1,800 and 3,900 square feet with three up to five bedrooms and asking prices from the $300s up to the $400s. It’s a source of delight to tour Ashton Pointe homes for sale with their ceramic barrel tile roofs, paver walkways and driveways, and decorative stones in their frontages. The prized finds in this community are those which have had extensive upgrades, such as updated gourmet kitchens and new granite countertops and stainless steel appliances. 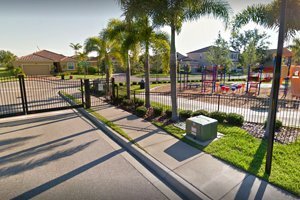 Buying interest on Ashton Pointe homes for sale gets a further boost from their close proximity to excellent schools like Sarasota Middle and Ashton Elementary. Retail hubs, such as the Palmer Crossing Circle, are also located just a few minutes’ away at the corner of Clark Road and Honore Avenue. The tenants here include the shops of Walmart and Bealls along with Applebees, Café Barboso and Gecko’s Grill. Near this area too is a Publix and a healthcare facility of Sarasota Memorial. 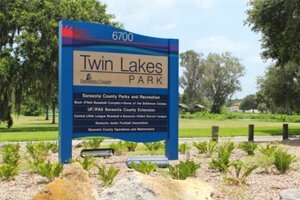 In addition, Ashton Pointe is convenient to recreational activities at the Urfer Family Park, Twin Lakes, Red Bug Slough, and Bee Ridge Park. Clark Road just south of the community is also a nearby conduit to the beach attractions of Siesta Key which are only about a five-mile drive westward. The Interstate 75 interchange east of this road, moreover, opens access to many employment centers and business parks as well as shopping malls including those in Sarasota, Lakewood Ranch and Bradenton. Below are the current real estate listings available at Ashton Pointe.